Though not with a fork and spoon. 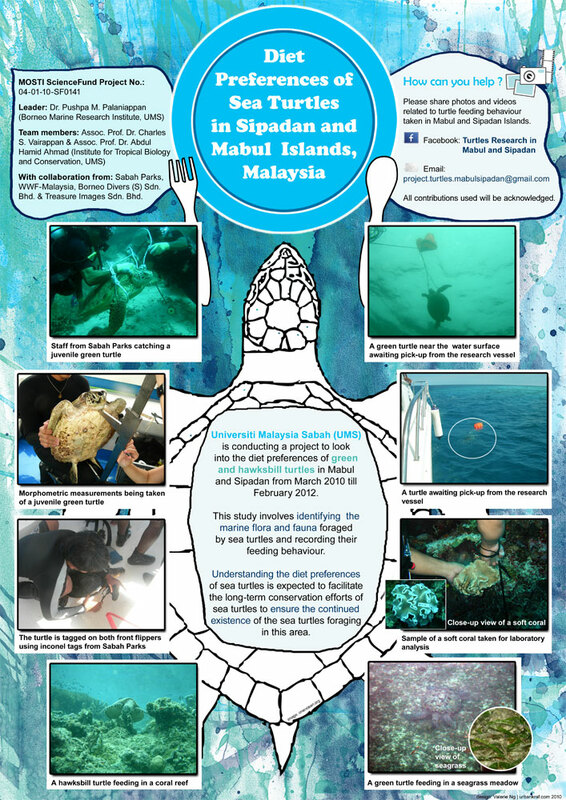 Designed a poster for a Turtle project in Sabah, Malaysia run by Universiti Malaysia Sabah (UMS) to research the diet preferences of sea turtles in Sipadan and Mabul islands. You can view more about the project on Facebook just search for Turtles Research in Mabul and Sipadan. Turtle image courtesy of oneocean.org where you can also read up on marine life in the area. Art, Craft and Design website – a constant work in progress ….